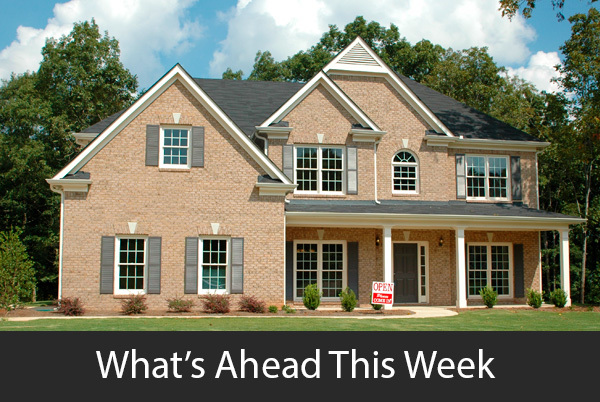 Last week’s economic news included readings on new and pending home sales and weekly reports on mortgage rates and new jobless claims. September sales of new homes reached a 10-year high with a seasonally-adjusted annual rate of 667,000 new homes sold. Analysts said that high demand drove September sales past the expected rate of 555,000 sales and August’s reading of 561,000 sales of new homes. September’s reading was 19.9 percent higher than for August and was 17 percent higher year-over-year. September’s reading was 8.60 percent higher for year-to-date sales of new homes. This news may encourage builders to ramp up new home construction, but the widespread damage caused by hurricanes and fires will account for rebuilding thousands of previously-owned homes in the coming months. The national average price for a new home was $319,700 as compared to $314,700 year-over-year. Real estate professionals said that it would take five months to sell all new homes currently available. Pending home sales did not change from August to September. The Commerce Department reported no change from August’s reading of – 2.80 percent. Low inventories of pre-owned homes and affordability concerns may have sidelined would-be buyers as competition for available homes and home prices rose. Regional results for pending sales were mixed. The Northeast region reported 1.20 percent growth in pending home sales, while the Midwest reported 1.40 percent growth and the West topped regional pending sales rates with 1.90 percent growth. The Southern region posted -2.30 percent fewer pending sales; hurricanes likely accounted for fewer contracts signed in September. Year-over-year pending home sales were lower in all regions. Mortgage rates rose across the board last week. Freddie Mac reported that averaged rates for a fixed rate mortgage rose by six basis points for 30-year and 15-year mortgages. The average rate for a 30-year fixed rate mortgage was 3.94 percent; the average rate for a 15-year fixed rate mortgage was 3.25 percent. The average rate for a 5/1 adjustable rate mortgage rose four basis points to 3.21 percent. Discount points averaged 0.50 percent for fixed rate mortgages and 0.40 percent for 5/1 adjustable rate mortgages. New jobless claims rose to 233,000 claims, which matched expectations and exceed the prior week’s reading of 223,000 first time claims, which was a 44-year low. The jump in first-time claims is not due to layoffs as employers report shortages of skilled candidates to fill job openings. This week’s scheduled economic news includes readings on Case-Shiller home prices, construction spending and labor sector readings on private and public-sector employment. The national unemployment rate will be released along with weekly readings on mortgage rates and new jobless claims.